What Would Wes Anderson Read? Wesley Wales Anderson turns 45 years old today, which is astonishing when you think about all he’s accomplished. His first film, a short named Bottle Rocket, began production in 1992 when he was only 23 years old. Four years later, it was developed into a feature-length debut starring Owen and Luke Wilson — a first glimpse of the cinematic style and incestuous group of actors that would set Anderson apart. Over the years, Anderson's work has aged like a fantastic cabernet, with fans adoring his use of symmetry (see above), color and, of course, out-of-this-world stories. Naturally, we couldn’t help but celebrate the filmmaker's birthday with a list of eight great books to pair with his movies. Feel free to try to pick your favorites. We know it’ll be hard. Viennese author Stefan Zweig was such a tremendous influence on Anderson that the filmmaker not only used the author’s writing as the inspiration for his newest film, but also put together a collection of Zweig’s prose called The Society of Crossed Keys. If you want to see this influence in the clearest light, check out The Post Office Girl, Zweig’s novel that had the biggest impact on The Grand Budapest Hotel. The book features a poor, young post office worker named Christine who gets called out to a luxurious Swiss Alpine resort by her rich aunt. Both the novel and the film come across like off-beat Austrian Cinderella stories — ones that don’t fit the obligatory happily-ever-after ending. Anderson and Craig Thompson have their stylistic differences, but the two have one big thing in common: They are both relentless visual perfectionists. The amount of detail applied to each shot in Anderson’s films or each page in Thompson’s graphic novel is mesmerizing. If the New England summer camp setting of Moonrise Kingdom was relocated to a Baptist camp in the snowy midwest, you’d have a story close to Thompson’s Blankets. Both tales deal with first loves in a way that will make you blush, squirm and swoon from nostalgia. And in both, the young lovers grow out of their experiences to be just a bit older, a bit more comfortable in their skin than they were before. This is a no-brainer. If you loved the movie, there’s no doubt you’d relish reading Roald Dahl’s original children’s novella (even if there is less of Anderson’s dimension to Mr. Fox’s character, that mid-life longing for his wilder youth). Whether you flip through it by yourself in a quick, late-night binge or by reading it aloud to your wide-eyed six-year-old niece, there’s no doubt you’ll take just as much pleasure in reading the book as you did watching the film. Plus, you’ll be that much more amazed that Anderson was able to stretch Dahl’s 80-page story into a gorgeous hour-and-a-half stop-motion picture. The death of a parent can catalyze any number of things: a family reunion, a re-examination of family-history, an existential crisis, all of the above simultaneously. It’s a tremendous, tragic life-changer. 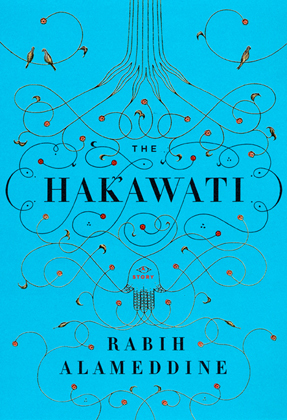 The three brothers of The Darjeeling Limited and Osama of The Hakawati all deal with the recent death of their father, which not only brings about the expected degree of mourning, but a journey from America East (to India and Beirut, respectively). Both stories will woo audiences who have a soft spot for family dramas, new beginnings and that Bob Dylan lyric: “When you got nothin’, you got nothin’ to lose.” Sometimes it takes tragedy to force you to rediscover where you came from. In 1998, six years before the release of The Life Aquatic with Steve Zissou, Max Fischer of Wes Anderson’s Rushmore takes a book out at the library called Diving for Sunken Treasure by Jacques Yves Cousteau. If that isn’t a nod to influence, a glimpse into what would inspire Life Aquatic, then you might as well just call the sky magenta and the ground blue. 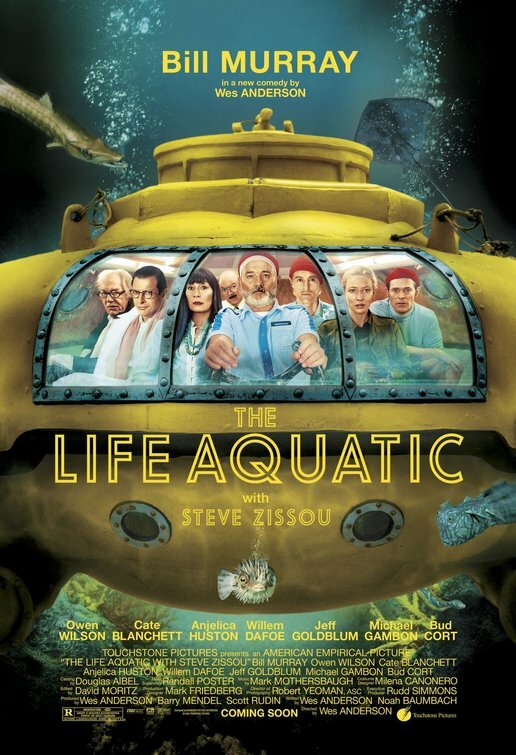 Diving for Sunken Treasure reveals just how much Anderson was fascinated with Cousteau’s life, from his aquatic discoveries to his fashionable wardrobe choices: the unforgettable of light-blue button-up paired with an orange-red skull-cap. Reading Cousteau is the only best next step after Life Aquatic. Ah, the cruel aftermath of being a child prodigy. The Glass family and the Tenenbaums have all too much in common: young overachievers who lose it as adults, who battle depression, anxiety, family dysfunction and the banalities of privileged upper class, East Coast culture. The Glass family seems a peak into the generation that came before Anderson’s Tenenbaums — and eerie enough, Salinger’s Beatrice “Boo Boo” Glass marries into a Tannenbaum family. Salinger and Anderson have their stylistic differences, but they both really get at the damage endured by families who are almost too smart for their own good. Rosalind and Rosemary — both heartbreakers at their finest. Still, though their names are similar, they two couldn’t be any less alike: one a Fitzgerald-style debutant, the other a grade school teacher and widow. What is strikingly similar between these two works are their protagonists: Amory Blaine and Max Fischer, both boarding school transplants who are cynical though romantic, whip-smart fools. While Fischer is cocky about his future in Ivy League schools (“My top schools where I want to apply to are Oxford and the Sorbonne. My safety's Harvard.”), Amory actually attends Princeton … and is shipped overseas to fight The Great War. Maybe its safe to say that Fitzgerald’s novel just seems like something Fischer would desperately want to remake into a school play — its three acts of tragic perfection — to try to win the heart of Ms. Rosemary Cross. If Bottle Rocket was less about running heists in Texas and more about playing cowboy and riding horses down to Mexico, then you might have a close compadre in All the Pretty Horses by Cormac McCarthy. The book begins with a 16-year-old boy who no longer has a home to turn to and persuades his best friend Lacey Rawlins to go South with him. Shortly before they cross the Mexican border, they encounter Jimmy Blevins, a young teenager who claims to be older than he looks, and they let him come along. The book has the same dysfunctional, Southern three-musketeers dynamic and a heartfelt fling with a pretty Central American woman. Of course, McCarthy adds a bit more seriousness and violence to the mix, but that’s to be expected. Are there any other books you’d pair with Wes Anderson’s films? Tell us about them in the comments below!